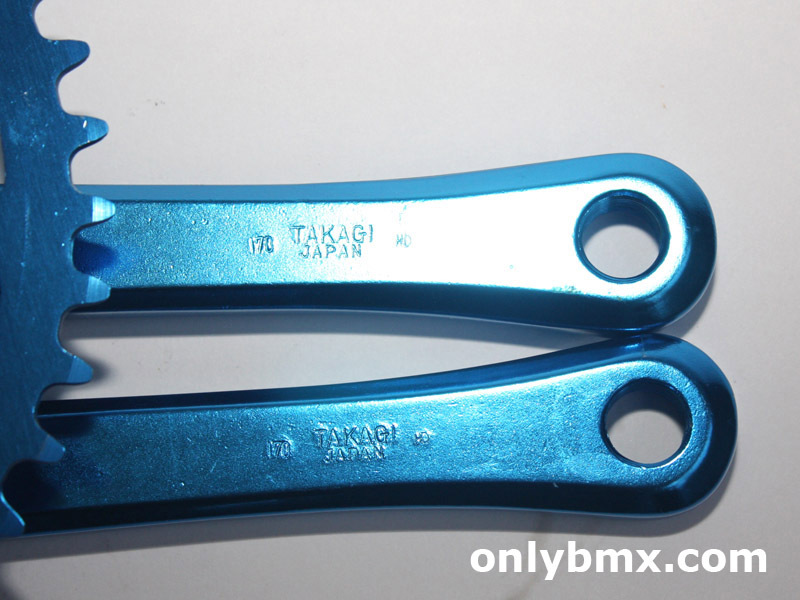 Set of NOS Takagi Tourney alloy BMX cranks. 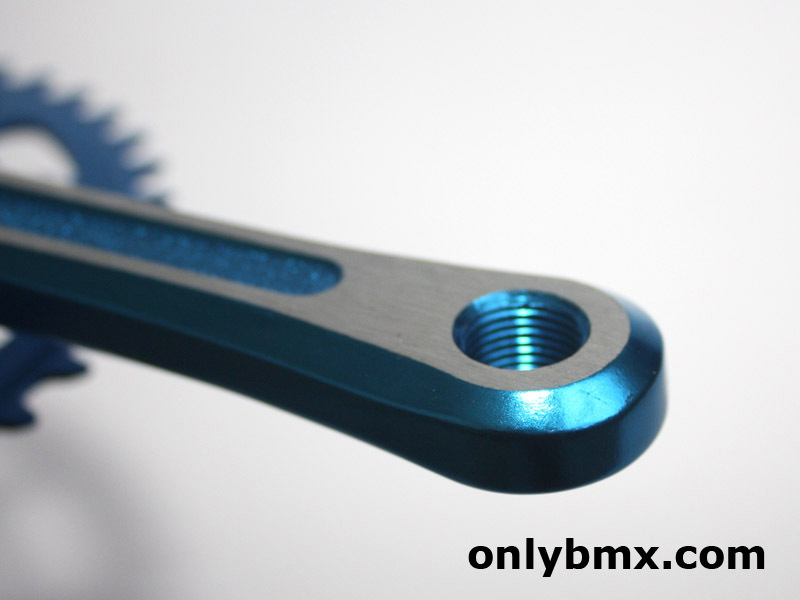 Comes complete with a NOS loose ball bottom bracket and spindle. 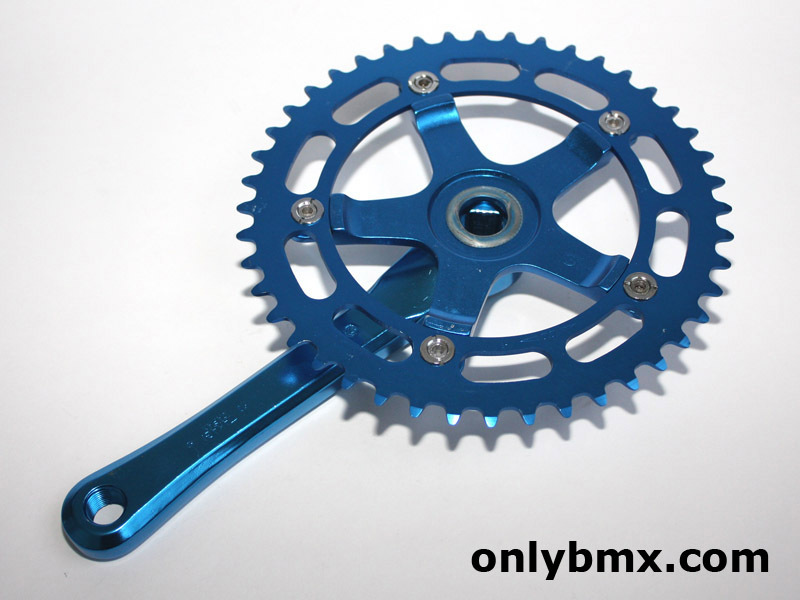 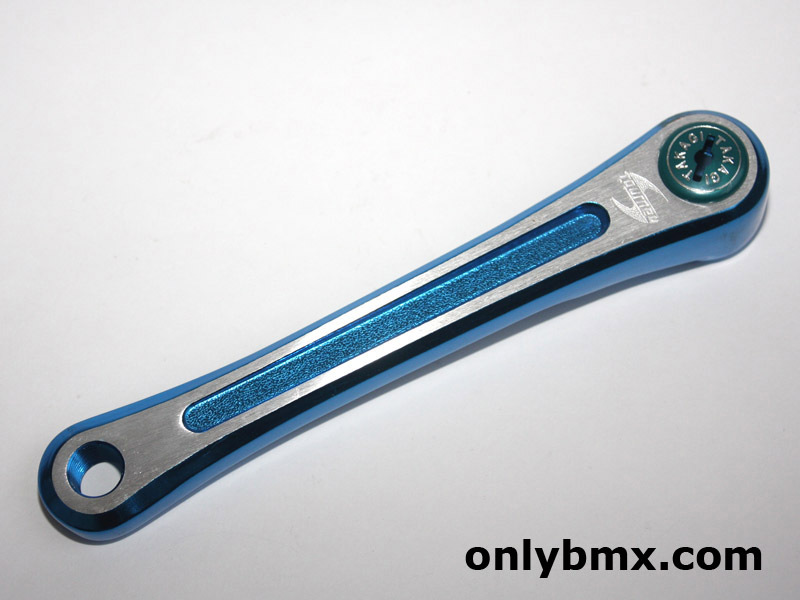 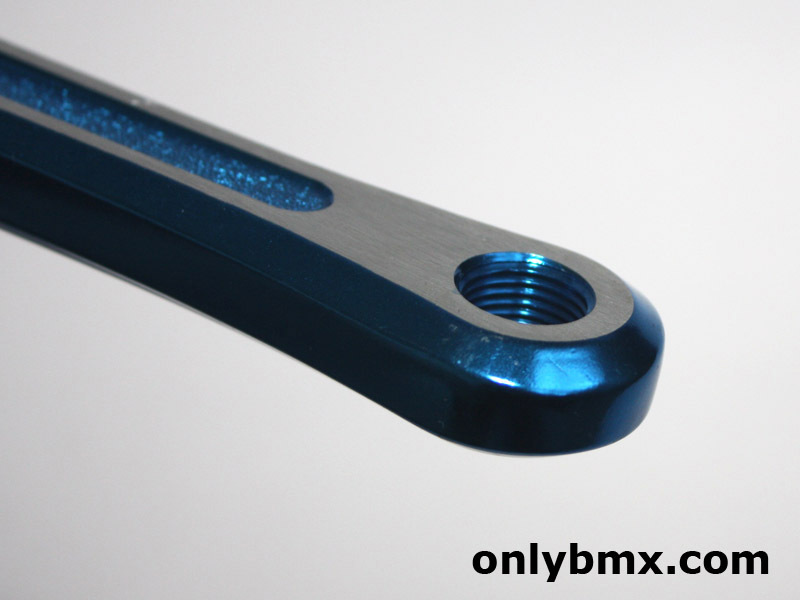 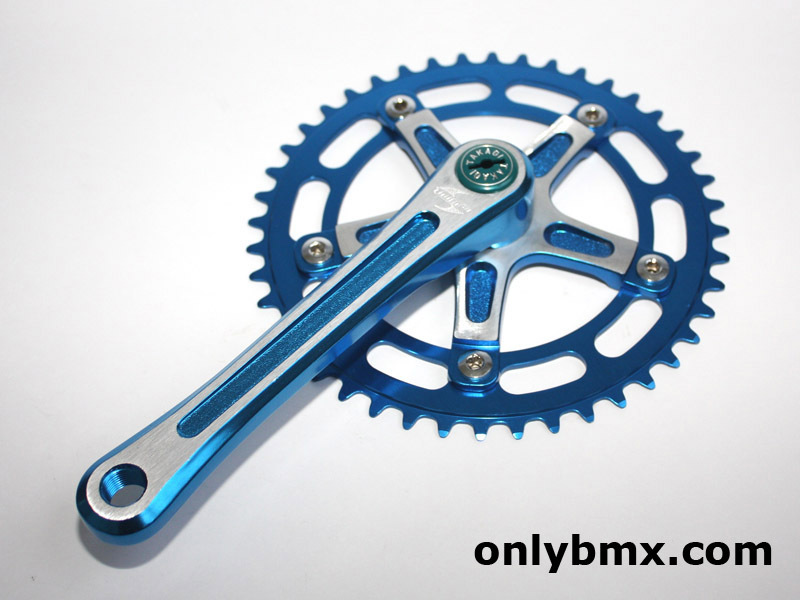 Cranks are in flawless blue and exactly how you would remember them from back in the day. 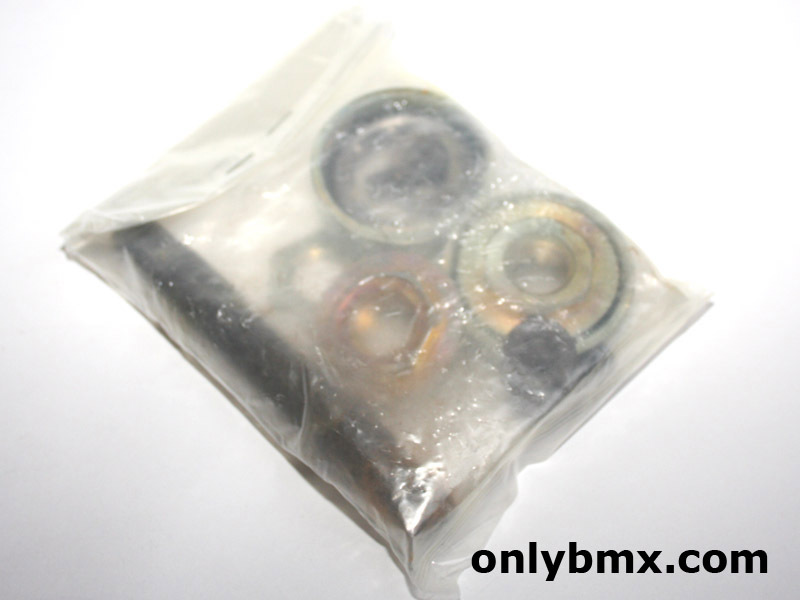 Of course back then they bent within days of first use, unless you were as lightweight as me and then they lasted until the new BMX came along. 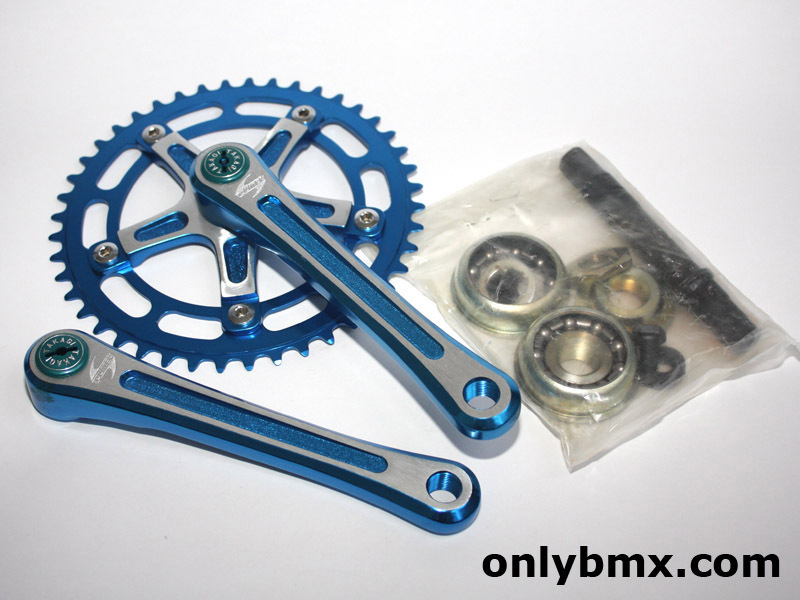 Also includes a 44t chainring and the elusive blue end caps marked Takagi. 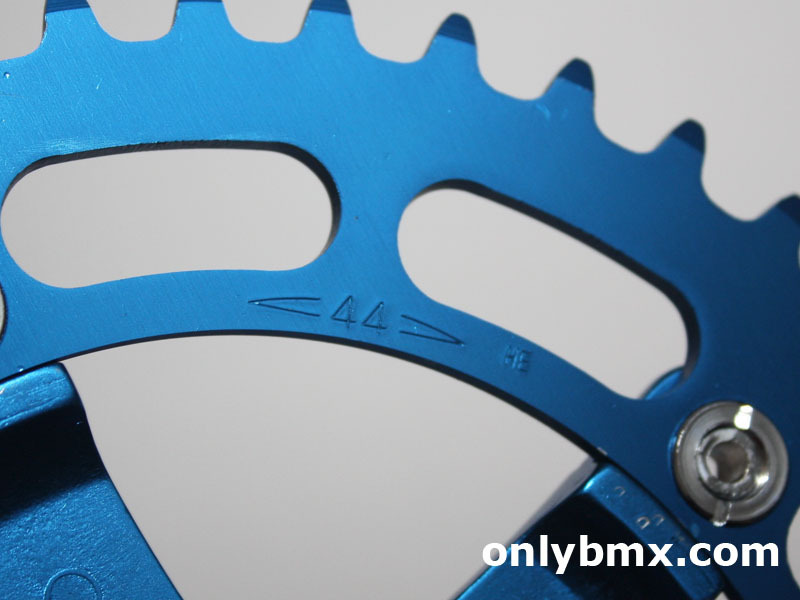 Crank length is 170mm and not sure if this was the only size for these as I can’t remember ever seeing other lengths of this model.